It’s a manufacturing arms race! Compete against other players as you try to build the most efficient set of factories in the shortest amount of time. You must carefully manage your blueprints, train your workers, and manufacture as many goods as possible in order to achieve industrial dominance! 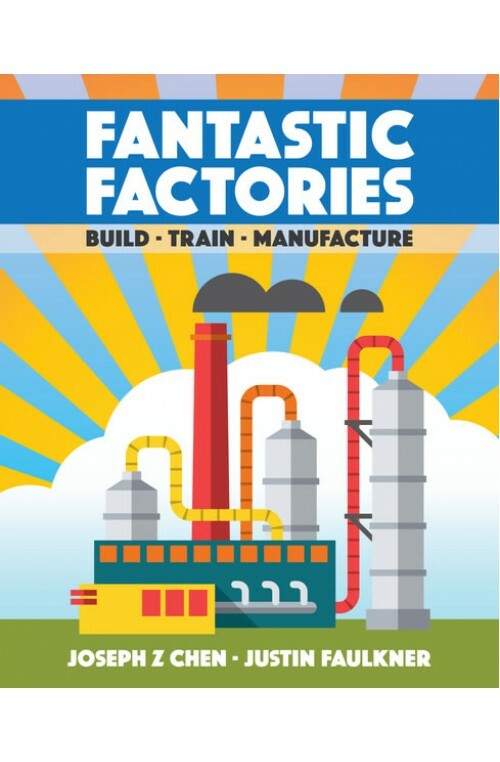 In Fantastic Factories, you race to manufacture the most goods or build the most prestigious buildings. There are elements of dice rolling, worker placement, engine building, resource management, tableau building, simultaneous play, and some card drafting. Each round is split into two phases, the market phase and the work phase. During the market phase, you choose to either acquire a new blueprint for free or pay to hire a contractor. Blueprints are used to construct new factories during the work phase. Contractors can be used to reinforce your strategy by providing resources or allowing you to roll additional dice. You need to be mindful of what cards are available in the marketplace and the strategies your opponents may be pursuing. 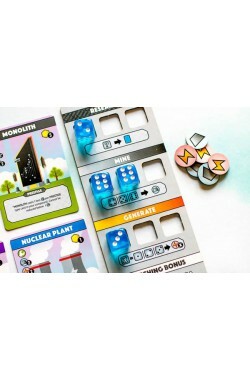 During the work phase, all players simultaneously roll their dice and use their dice as workers to run factories. Factories start as blueprints and need to be constructed. Once constructed, each factory can be used once each turn. Worker placement can happen in any order and figuring out the correct sequence can enable a powerful chain of actions. Additionally, you can build training facilities that allow you to manipulate the dice values of your workers. Each work phase is like solving a unique worker placement puzzle in order to optimize your output of resources and goods. Once any player has manufactured 12 goods or constructed 10 buildings, the game end is triggered and one additional and final round is played. The player with the most points wins (combination of building prestige and manufactured goods). 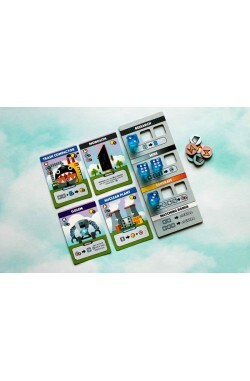 With over 30 unique blueprints and countless synergies across buildings, each game is unique. 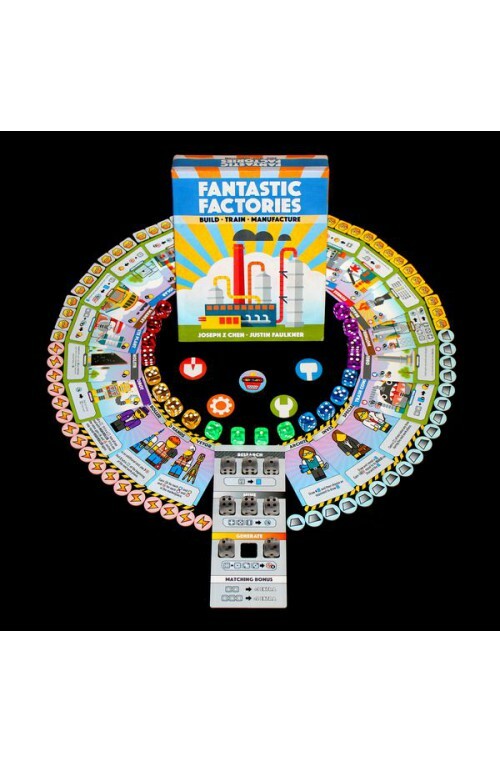 Fantastic Factories offers a lot of replay value and satisfaction as players discover new factory engines with each game.